Amandla! does not believe in miracles. Mandela is not immortal. He has lived the fullest of lives. Amandla! 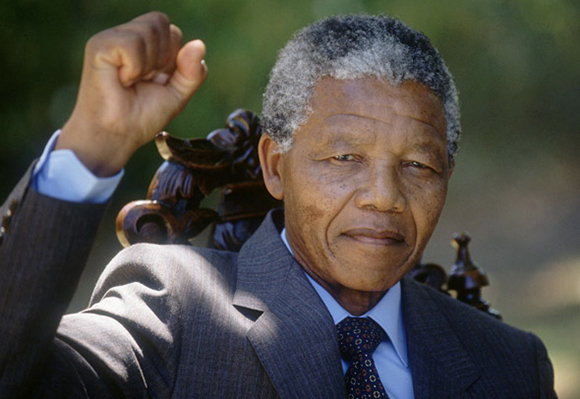 stands with his family, the ANC (the organisation he lived and died for), his closest comrades, especially the surviving Treason Trialists and Robben Island prisoners, the South African people as well as millions of people around the world to mark the passing of a great man. Yet Mandela was no God, no saint but a man of the people. He reaffirms that people born of humble beginnings can rise and achieve extraordinary feats. Victory is possible against all odds. Mandela had all Shakespeare’s attributes of greatness. 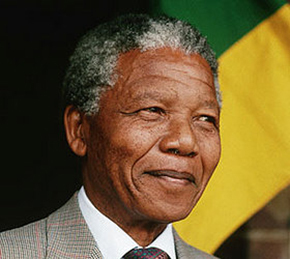 It is with this sense that the South African nation, such as it exits, in its divisions, polarisations and inequities pays tribute to a man that dedicated his life to the liberation of his people. People who never knew Mandela have woken up to a sense of numbness, you only feel when told of the death of one’s closest. This is how most of Venezuela felt with the death of Chavez. Strangely in this divided nation, a nation still under construction and at times deconstructing, Mandela’s passing will almost universally be mourned. He was loved by South Africans, black and white, poor and rich, left and right. He was loved for his honesty and integrity. He was loved because he was neither Mbeki nor Zuma. He was a visionary, he had a grand project. He was political. He had a great sense of strategic timing. Yet he was not Machiavellian. He was loved because he was neither Mugabe nor Blair. His vision consumed his life. He was gentle. And like a good father to be kind, he sometimes could be cruel. But for all this we must avoid myth making. Mandela was neither King nor Saint. 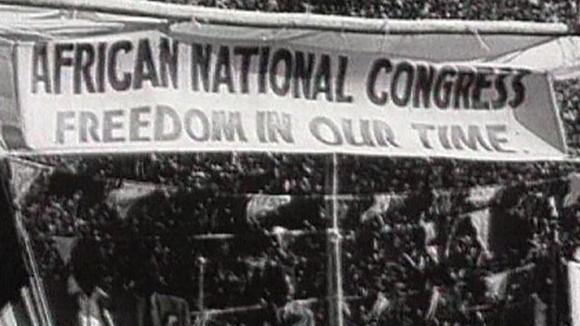 The struggle to liberate South Africa was a collective effort. Moreover it was the power of the most downtrodden, the workers in the factories, the poor in the community, working class women and youth that brought the Apartheid government, if not completely to its knees – at least to negotiate the terms of the end of their racist system. And while Mandela was the one to initiate talks with the Apartheid government, he bound himself to the collective leadership of the ANC. He took initiative, he led but he did so as part of a collective. He was an organisational man. He was at pains to explain he was a product of the ANC He was a man of the black, green and gold but he could reach beyond organisational boundaries. Yes, millions of words will be spoken and written on Mandela’s legacy, now, in the months to come, next year and thereafter. And we will struggle to do this legacy justice. The most difficult part will be to capture the essential Mandela going beyond myth-making while accurately assessing the contradictory nature of that legacy. For the present cannot be understood without understanding the past and not all that is wrong with current day SA can be put at the door of Zuma or Mbeki. The negotiated settlement that brought about democratic SA on the basis of one person one vote will be regarded as Mandela’s greatest achievement. It avoided the scorched earth path of blood letting which we now see in Syria. And yet it is those compromises that are now coming apart at the seams. The unresolved social inequality that has given rise, in the words of Thabo Mbeki to South Africa as a country of two nations: one white and relatively prosperous, the second black and poor. Mandela’s legacy will also have to be weighed by the fact that SA is more divided than ever as a result of inequality and social exclusion. The rich are richer and the poor poorer. The great unifier could undertake great symbolic acts of reconciliation to pacify the white nation but because, by definition, this required sacrificing the redistribution of wealth, reconciliation with the whites was done at the expense of the vast majority of black people. Yet it is this abandonment of nationalization, nationalization symbolizing the redistribution of wealth, which was dictated by the needs of reconciliation not just with the White establishment but with global capitalism. In the words of Mandela in an interview with Anthony Lewsis: ”Private sector development remains the motive force of growth and development.” His encounters with the global elite at Davos, the home of the World Economic Forum, convinced him that compromises were needed to be made with the financiers. It was also the late night encounters with the captains of South African capitalism such as Harry Oppenheimer that reinforced his belief that there was no alternative but the capitalist road. In the words of Ronnie Kasrils: “That was the time from 1991–1996 that the battle for the soul of the ANC got underway and was lost to corporate power and influence. That was the fatal turning point. I will call it our Faustian moment when we became entrapped – some today crying out that we ‘sold our people down the river’”. It is precisely this capitalist road that has proved such a disaster and which may ultimately destroy Mandela’s life’s work of the achievement of one person one vote in a united non-racial, non sexist South Africa. To do justice to Mandela’s life of dedication and sacrifice for equality between black and white the struggle must continue. Brian Ashley is editor of Amandla! magazine in South Africa.